Amazon’s looking out for the green thumbs today with a Gold Box deal on a half dozen Gorilla garden carts. 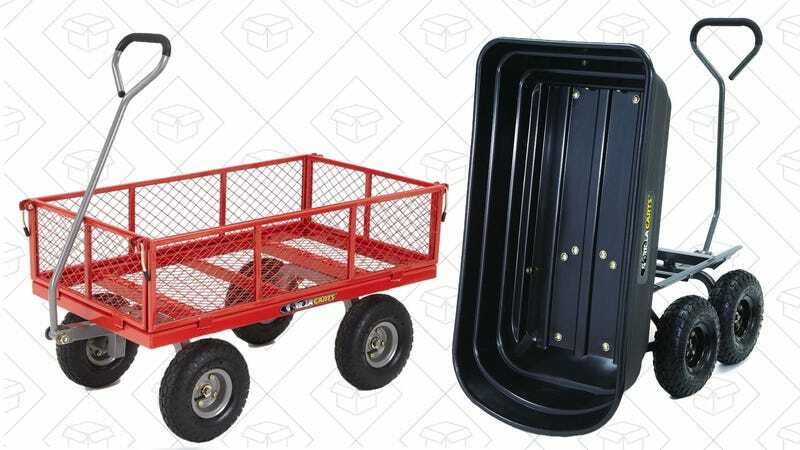 These carts all have fantastic user reviews, can haul 400 pounds or more, and some even include a quick-release dumping mechanism for easy dirt pouring. Just note that like all Gold Box deals, these prices are only available today, so lock in your order before the deal vine is picked clean.